Our thoughts and prayers are with all who have felt the affects of Hurricane Sandy. We hope for a speedy return to normalcy for everyone. Building Departments for the Town of Hempstead, Town of Oyster Bay, and Town of Babylon have significantly shortened the approval process for repairs and improvements related to Tropical Storm Irene. Even if you are unable to affect repairs immediately, we can expedite necessary permits by scheduling a starting date for your project. Kevel can repair, rebuild and expand on marine structures such as bulkheads, piers, floating docks, boat lifts, etc. Don’t delay! Permits are often now approved in days or weeks whereas the normal approval process can take many months. Call us today. 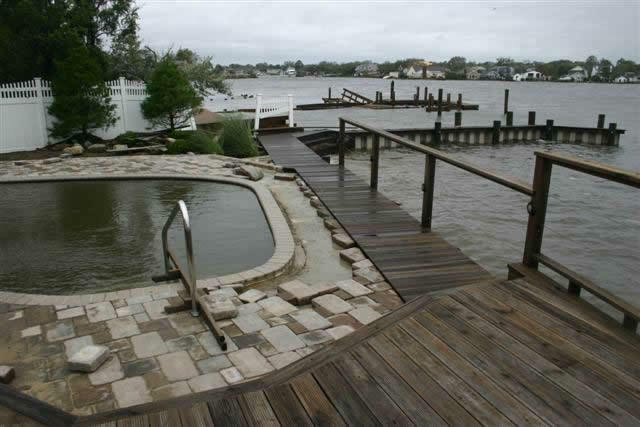 With advanced skills and many years of experience, Kevel Marine is a professional and reliable marine construction company serving Nassau and Suffolk counties with the finest quality docks, piers, decks and other structures for both residential and commercial properties. We are committed to providing our clients across Long Island with exceptional service for all of their marine needs. At Kevel Marine, we provide comprehensive marine construction and maintenance services customized for each client's individual needs to produce beautiful, functional and long-lasting results.
" 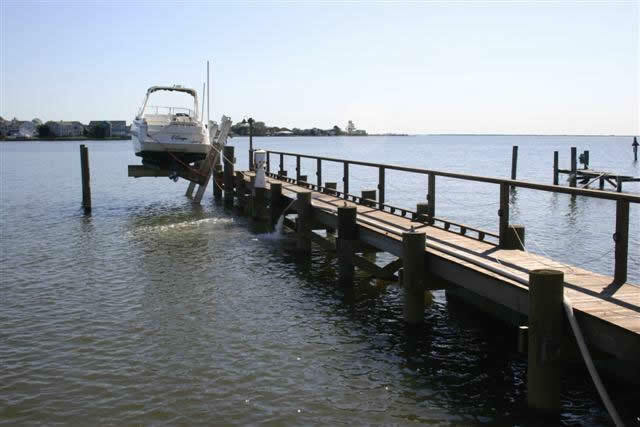 In June of 2010 Kevel Marine installed a 100’ pier, a deck and a boat lift on my bay front property on the South Shore of Long Island. Noting the depth of the sea floor and the potential for storm damage, Kevel installed 12” and 14” piles, each 40’ in length along with cross-bracing and stringers every 10” apart. My neighbors thought it was crazy and unnecessary to build my pier that way and joked that an oceanliner could dock alongside. 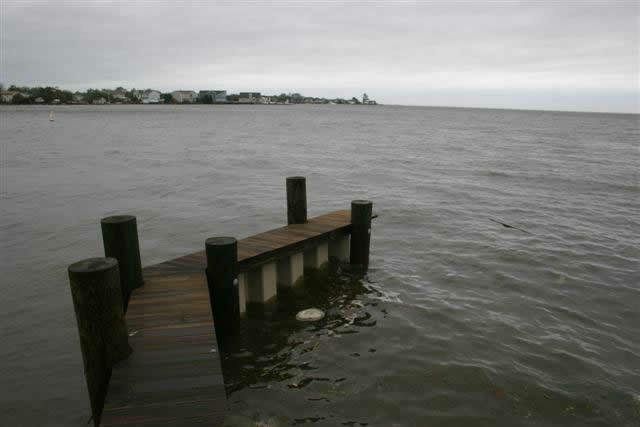 On August 28, the storm surge from Hurricane Irene was more than 4 feet. The bay came up over our bulkhead and water passed around both sides of our home and into the street in front of the house. The entire area was submerged under 2 - 3 feet of saltwater. A video camera installed in the back of the house showed rolling waves and literally tons of debris crashing into our pier. As the storm progressed, the pier structure was almost entirely underwater. When everything subsided, we determined that the debris was the remnants of piers that had belonged to many of the neighbors on both sides of our property. Huge sections of our neighbors docks wound up in our backyard. Yet, with the exception of some stainless steel cabling along a handrail, our pier was undamaged – not so much as a single plank came up in the storm. The boat lift and our boat were also unharmed. If ever there is a testament to well-built, sturdy construction, well this is it. While the piers, docks and boatlifts of many neighboring homes were in many cases completely destroyed, we have only the most modest of damage. Undoubtedly, the quality of Kevel Marine’s construction is what saved our property. I cannot recommend this company highly enough. " © 2011 Kevel Marine and Digital Mindscapes, Inc. All Rights Reserved. West Sayville, Gilgo Beach, Oak Beach, Fire Island and all of Long Island.